Lend a touch of chic to set your style apart! 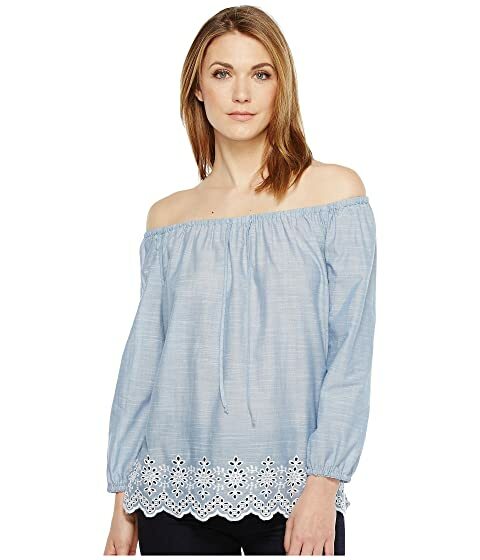 Gently-draped top features a lovely voile that is light enough for all-day wear. Scalloped lace and tonal embroidery appears at the hem. 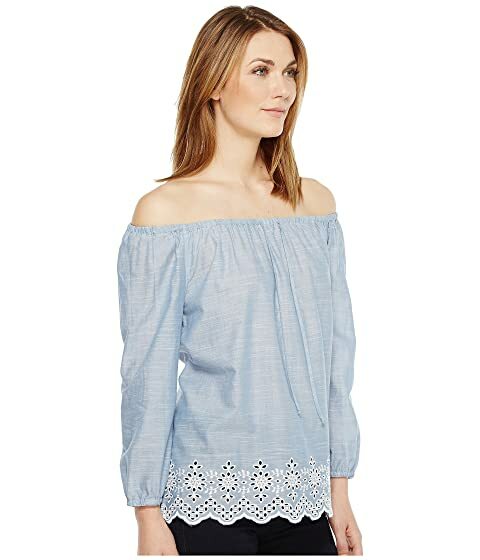 Off-shoulder neckline with tie detail. Three-quarter bracelet sleeves with gathered cuff.